Married for 9 1/2 years. 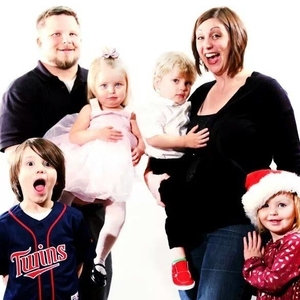 We tried for 2 years to have kids and were met with some medical obstacles. Through lots of prayer and the right doctor, we are the thankful, proud and overwhelmed parents of 4 in 3 1/2 years. We have Marty-6, Adayla-4, and 2 yo twins, Gray and Olive.